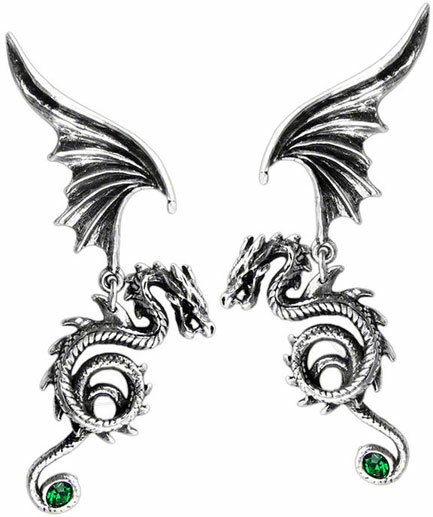 Two dragons facing each other with wings spread upward. They hold two single green stones with their tails as if to attract enviable attention. 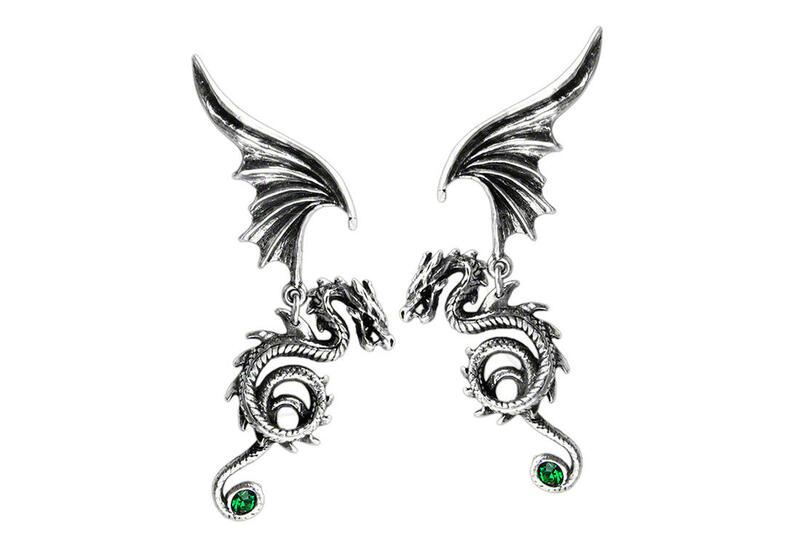 They are made of fine English pewter with Swarovski crystal and surgical steel ear posts. They measure approximately 1.02 inches wide, 2.6 inches high and 0.59 inches deep. Designed by Gothic Alchemy.